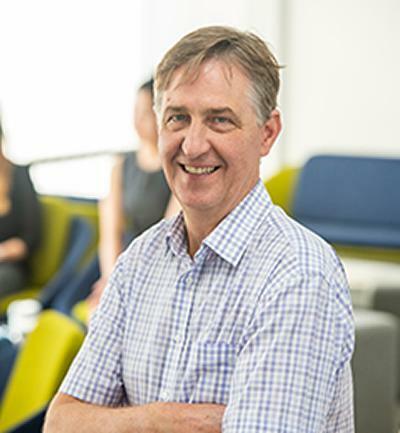 Professor Simon Wolfe is Head of Department of Banking and Finance and Director of the Centre for Digital Finance (CDF) within Southampton Business School at the University of Southampton. Simon Wolfe is Professor of Banking and Finance. His PhD in Finance is from Southampton University 1997; his MSc in Quantitative techniques in International Financial Economics is from Southampton (1991) and BA in Maths and Economics from University College Dublin (UCD) in 1989. Simon joined the Southampton Business School in 1994. Prior to becoming an academic Simon worked in industry for a number of years. Associate Editor for the European Journal of Finance since 2011. Currently an Associate Advisor to the British Council. External examiner for Bangor University Management School and the University of Hong Kong. Recently Simon designed and set up the new MSc Finance degree Programme. His core teaching interests lie in the area of international banking and corporate finance. My research interests include asset-backed securitisation, financial regulations, financial stability, and depositor protection systems. I am currently working on the wealth effects of asset-backed securitisation and in a separate project I am researching how bank market structure and competition impact SME financing relationships in two key European regions. I currently have seven PhD students. Nguyen, S., & Wolfe, S. (2016). Determinants of successful access to bank loans by vietnamese SMEs: New evidence from the Red River delta. Journal of Internet Banking and Commerce, 21(1), . Wolfe, S., & Odesanmi, S. (2008). Revenue diversification and insolvency risk: evidence from banks in emerging economics. Author's Original. Wolfe, S. (2007). Letter. Worrying reduction of capital levels. Financial Times. November 14 2007, p.14. Edwards, J., & Wolfe, S. (2005). Compliance: A review. Journal of Financial Regulation and Compliance, 13(1), 48-59. Wolfe, S., & Dale, R. (2003). The UK financial services authority: unified regulation in the new market environment. Journal of International Banking Regulation, 4(3), 200-224. Gwilym, O. A., Wolfe, S., & Daliakopolous, S. (1999). Equity valuation effects of the issuance of convertible bonds: UK evidence. The Journal of Fixed Income, 9(4), 7-18. Wolfe, S. (1998). New framework for policy board meetings on monetary policy in Japan. Financial Times Financial Regulation Report, 18-19. Dale, R., & Wolfe, S. (1998). The structure of financial regulation. Journal of Financial Regulation and Compliance, 6(4), 326-50. Wolfe, S. (1998). Yasuda trust's rescue package. Financial Times Financial Regulation Report, 23-24. McKenzie, G., & Wolfe, S. (1995). Limited liability and bank safety net procedures. European Journal of Finance, 1(3), 219-235. Amidu, M., & Wolfe, S. (2016). The impact of market power and funding strategy on bank-interest margins. In C. Girardone, P. A. Hamill, & J. O. S. Wilson (Eds. ), Contemporary Issues in Financial Institutions and Markets (Vol. 2, pp. 78-98). Taylor and Francis. Ward, W., & Wolfe, S. (2003). Asset backed securtisation, collateralized loan obligations and credit derivatives. In A. W. Mullineux, & V. Murinde (Eds. ), Handbook of International Banking (pp. 60-101). Edward Elgar. Wolfe, S., & Dale, R. (2003). The regulation of International Banking: Structural Issues. In V. Murinde, & A. W. Mullineux (Eds. ), Handbook of International Banking (pp. 572-611). Edward Elgar. Wolfe, S., & Dale, R. (1996). Capital standards. In B. Steil (Ed. ), European Equity Markets: The State of the Union and an Agenda for the Millennium (pp. 225-258). London, UK: Royal Institute of International Affairs. Wolfe, S. (1995). The evolution of EU accounting rules and the bank solvency directive. In D. Mayes (Ed. ), The Evolution of Rules for a Single European Market, Part 1 - Industry and Finance (pp. 261-274). Brussels, Belgium: European Commission. Bakoush, M., Gerding, E., & Wolfe, S. (2017). Interest rate swaps clearing and systemic risk. In American Economic Association (AEA): The 2017 Annual Meeting Chicago, IL, : American Economic Association. Eross, A., McGroarty, F., Urquhart, A., & Wolfe, S. (2017). The intraday dynamics of Bitcoin. Paper presented at 15th INFINITI Conference on International Finance, Valencia, Spain. Bakoush, M., Gerding, E., & Wolfe, S. (2016). Modelling the dynamics of systemic risk in over-the-counter interest rate derivatives market. In Society for Computational Economics : Computing in Economics and Finance - CEF 2016 Bordeaux: Society of Computational Economics. Wolfe, S., & McKenzie, G. (2009). The implications of risk transmission for depositor protection. Paper presented at 16th Annual Conference Multinational Finance Society, . Odesanmi, S., & Wolfe, S. (2008). Revenue diversification and insolvency risk: evidence from banks in emerging economies. Paper presented at 2nd EMG Conference "Emerging markets finance", . Wolfe, S. (2007). A tripartite primer on securitization: a funding source, a source of leverage and subprime backed notes. Paper presented at Money Macro and Finance Research Group / Essex Finance Centre Banking Crisis Workshop, . Mercieca, S., Schaeck, K., & Wolfe, S. (2007). Bank market structure, competition, and SME financing relationships in European Regions. Paper presented at Mergers and Acquisitions of Financial Institutions Conference, . Wolfe, S., Alegria, C., & Medakova, A. (2007). Wealth effects of asset backed securitisation: evidence from the UK market. Paper presented at MMF2007: Money Macro and Finance Research Group 39th Annual Conference, . Wolfe, S., Alegria, C., & McKenzie, G. (2006). Analysis of extreme events occurring when interim and final results are announced by UK companies. Paper presented at PFN 2006: 4th Finance Conference, . Schaeck, K., Čihák, M., & Wolfe, S. (2006). Are competitive banking systems more stable?. Paper presented at The Architecture of Financial System Stability: From Market Micro Structure to Monetary Policy, . Wolfe, S., & Schaeck, K. (2005). An off-site surveillance system for predicting bank failures in Germany: a panel data approach. Paper presented at 12th Global Finance Conference, . Schaeck, K., & Wolfe, S. (2005). Identifying "problem banks" in the German co-operative and savings bank sector: an econometric analysis. Paper presented at MMF 2005: 37th annual conference of the Money, Macro and Finance Research Group, . Wolfe, S. (2005). Wealth effects of asset backed securitisation: evidence from the UK market. Paper presented at ISMA Centre, Reading University Seminar, . Wolfe, S., & Dale, R. (2003). The UK financial services authority: unified regulation in the new market environment. Paper presented at American Enterprise Institute Conference, United States. Wolfe, S., & Dale, R. (1999). The structure of financial regulation. In S. J. Burki, & G. E. Perry (Eds. ), Proceedings of the Annual World Bank Conference on Development in Latin America and the Caribbean 1998 : Banks and Capital Markets (pp. 211-240). Washington DC, USA: The World Bank. McKenzie, G., & Wolfe, S. (2001). Restructuring the Russian financial system. Moscow, RU: Bureau of Economic Affairs. Wolfe, S., Alegria, C., & Mckenzie, G. (2008). Earnings announcements by UK companies: evidence of extreme events? (University of Southampton Discussion Paper Series: Accounting and Finance). Southampton, UK: University of Southampton. Wolfe, S., & Odesamni, S. (2008). Ownership structure, revenue diversification and insolvency risk in European banks. (WorkingPaperSeries: Discussion Papers in Accounting & Finance). Southampton, UK: University of Southampton. Wolfe, S., & Amidu, M. (2008). What role do Indian banks play in monetary transmission? (University of Southampton Discussion Paper Series: Accounting and Finance). Southampton, UK: University of Southampton. Odesamni, S., & Wolfe, S. (2007). Revenue diversification and insolvency risk: evidence from banks in emerging economies. (Working Paper Series: Discussion Papers in Accounting & Finance). Southampton, UK: University of Southampton. Schaeck, K., Čihák, M., & Wolfe, S. (2006). Are competitive banking systems more stable? Washington D.C., USA: International Monetary Fund. Wolfe, S. (2004). Equity toxic waste in asset-backed securitisation. (Discussion Papers in Accounting and Finance; No. AF04-22). Southampton, UK: University of Southampton. Wolfe, S. (2002). Rock and roll backed securitisation. (Discussion Papers in Accounting & Finance; No. AF02-06). Southampton, UK: University of Southampton. McKenzie, G., & Wolfe, S. (2001). Unification of financial regulatory structures: the case of the Russian Federation. (Discussion Papers in Accounting and Management Science; No. 01-170). Southampton, UK: University of Southampton. Wolfe, S. (1996). A primer to asset backed securitisation (The transformation of risks). (Discussion Papers in Accounting and Management Science; No. 96-131). Southampton, UK: University of Southampton. Dale, R., & Wolfe, S. (1996). EU capital requirements and the level playing field. (Discussion Papers in Accounting and Management Science; No. 96-111). Southampton, UK: University of Southampton. Wolfe, S. (1996). The impact of securitisation on Banks' capital: an economic analysis. (Discussion Papers in Accounting and Management Science; No. 96-130). Southampton, UK: University of Southampton. Wolfe, S. (1994). The evolution of EU accounting rules and the bank solvency directive. (Discussion Papers in Accounting and Management Science; No. 94-93). Southampton, UK: University of Southampton. McKenzie, G., & Wolfe, S. (1993). Limited liability and bank safety net procedures. (Discussion Papers in Accounting and Management Science; No. 93-64). Southampton, UK: University of Southampton. Wolfe, S. (1992). Market value accounting procedures: innovative or insufficient? (Discussion Papers in Accounting and Management Science; No. 92-57). Southampton, UK: University of Southampton.